Pam Keller is a councilmember in the City of Fullerton. 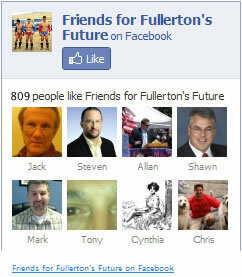 Pam is also Executive Director of the Fullerton Collaborative and a former Fullerton schoolteacher. Pam Keller Speaks! Apologizes For Not Stopping Our Bad Behavior. More Mayhem In Doc Heehaw’s Crazy Wild West Show!! The Recall Campaign’s First Victory; When You’re Right, You’re Right. There Is An Emergency in Fullerton! Looks like John and Ken got an earful.